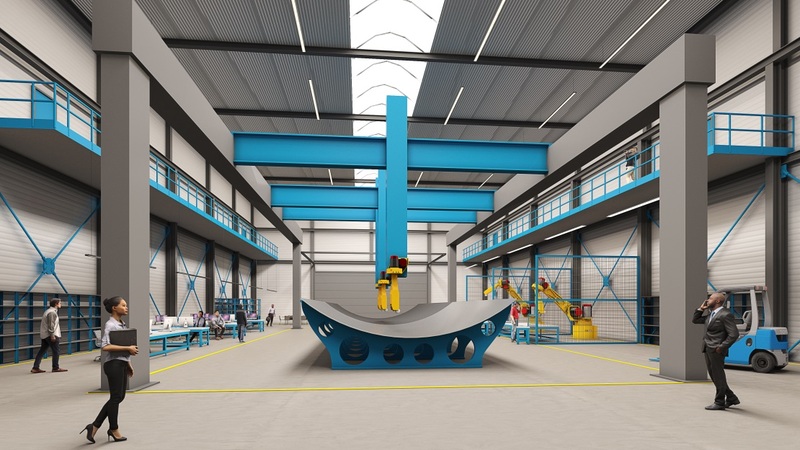 SAM|XL (Smart Advanced Manufacturing XL) is a collaborative research centre where technology is being developed, demonstrated, and de-risked for automated manufacture of large-size lightweight composite parts for aircraft, wind turbine blades, spacecraft and maritime applications. 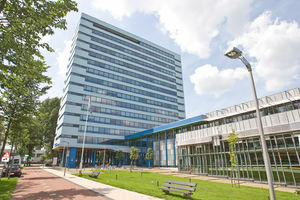 The collaborative research centre is setup as a non-profit foundation under the auspices of the TU Delft and brings together the knowledge base of TU Delft Aerospace Engineering, TU Delft Robotics Institute, TNO Industry, and the Industry partners that span the cross-sectoral composite supply chains. SAM|XL is establishing and expanding industrial-scale automation equipment that is accessible to its partners for research, demonstration and de-risking of technology prior to upscaling. In addition, through relevant projects the centre generates opportunities to students from the nearby universities and universities of applied sciences to kick start their career in smart manufacturing and become the workforce that carries our Future Factories. On January 1st 2018 we started within the Faculty of Aerospace Engineering at TU Delft. The doors of our new facility will open in December 2018. We are currently expanding our team and are looking for software and robotics engineers that are interested to develop cutting-edge large-scale automation and robotization technology with the Dutch hi-tech industry. More information can be found on the website. Are you interested in joining us? Please contact us.